Including Mirror Monk, Kidd Adamz, Gank Gaank, Tiurakh$ushii, and Chief Pound. In the first installment of our monthly Rap Road Trip column, The FADER will explore new sounds from different regions by highlighting five artists who may be relatively unknown outside their hometowns but deserve your attention nonetheless. Whether you hate them or love them, rappers from South Florida have made a lot of noise in the past year and many of their respective followings have originated on SoundCloud. This underground digital renaissance can be traced back to SpaceGhostPurrp and Raider Klan, who gained popularity at the beginning of the decade via Tumblr with haunting Memphis-inspired tracks. Some in the current wave of new artists have blown up amid allegations of sexual assault and violence against women, while rappers like Lil Pump, $ki Mask the Slump God, Smokepurrp, and others have capitalized on the region's viral moment outside of controversies. But, fortunately, that's not where the current state of rap in Dade, Broward, and Palm Beach counties ends. 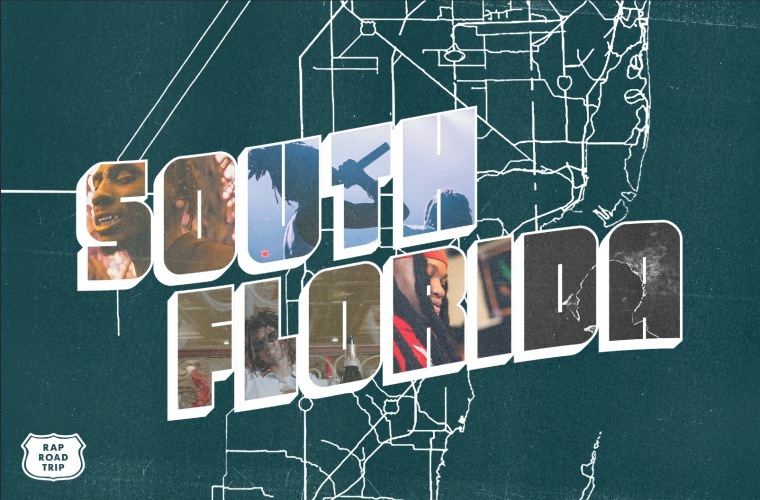 Outside of that realm of the internet, and the established megastars of the scene, there are many strong rappers from South Florida who remain under the radar. The area’s celebrated regional sounds have also been brought into the next generation: There's still a good amount of jook music being made and DJs are making new school Miami Bass and fast versions of songs for dance purposes at parties, and homegrown stars like Denzel Curry and Ice Berg already have strong followings. The five rappers in this list are some of the slept-on standouts from South Florida’s burgeoning rap scene. Mirror Monk has consistently dropped polished tracks with strong songwriting over the past year. He’s a promising up-and-comer from Miami’s Little Haiti neighborhood, an alternative to Broward County which has enjoyed the majority of the national spotlight in South Florida’s rap scene. On “Voices,” produced by Miami rap scene staple Rippa On Da Beat, he talks about forces pulling him in different directions. That struggle could explain his approach to refining songs as being a mental release. This track’s internal rhyme schemes and construction shows a laser-like focus on craft, but Mirror Monk still makes it sound effortless. The immediate draw to this song is Kidd Adamz’s sing-rap flow over the ethereal beat. On 2016’s “R2R,” the Miami Gardens native aimed for a more polished mainstream sound. But with “GLORY,” and the recently released “30Thirty,” Kidd Adamz shows a more dynamic approach. There’s likely a comfort level on “GLORY” over the stick-drill beat, a sound that was developed in Miami and stems way back to 2008 with Reggie Cashflow’s “Stick Drill.” The sound is still common in today’s popular house party joints in Miami. A relative newcomer on the scene, Broward County’s Tiurakh$ushii offers a change of pace for the region. His style isn’t uniquely South Florida —no stick-drill or jook beats, no fast versions of songs, and not a whole lot of local slang. On “4 Me” his rapid-fire flow locks listeners in over a more subdued beat. He uses a similar approach on “Gifted” to build emotion throughout the song. Tiurakh$ushii dropped ETIENNE The EP in 2017 which had “Focu$ed” and “Real Rap” as standouts. As a rule of thumb, I avoid any rapper claiming to make That Real Hip-Hop, much less naming a song “Real Rap,” But Tiurakh$ushii is interesting is because he straddles the line between swagged out rap and #bars. Gank Gaank arguably has the best stage name in the South Florida rap game. His singing has a rough-around-the-edges gospel sound that shines on songs like Ice Berg’s “Smoke With Nobody” and he’s been a staple on mixtapes from Broward County rappers for the past few years. Chief Pound looks the part of a SoundCloud rapper: dreaded hair, baby-face, edgy yet marketable. But his approach isn’t shock and awe and his name isn’t actually a drug reference (Carol City High School’s mascot is the Chief). Pound approaches both of these songs with the deliberate goal of simply creating something catchy, and he easily succeeds.